Is St. Theresa School (STS) affiliated with a particular local Catholic parish? St. Theresa School is part of the Saint Theresa Parish and the Diocese of Arlington. How many students attend STS? What grades does STS accommodate? How many classes are in each grade? Approximately 450 students are enrolled yearly, in grades K-8. Each grade has two classes. We offer full day kindergarten. Currently we do not offer a Pre-K program. What is the maximum number of students allowed in each class? The maximum number of students in Kindergarten is limited to 25 students and each class has a full time instructional aide. Grades 1-3 have part-time instructional aides in each class. Grades 1-8 have a maximum class size of 30 students. What are St. Theresa School’s educational goals? St. Theresa School maximizes each child’s potential. We are a parish school, not a prep school; we are a Catholic school, not a private school. We embrace children with a wide range of academic abilities. St. Theresa School supports our children early along so that they will be prepared to deal with diverse academic environment and take full advantage of their different learning styles. Most students learn how to have their needs met and discard regular daily or weekly support sessions before they reach middle school. Every student is expected to give his or her best to his or her studies. 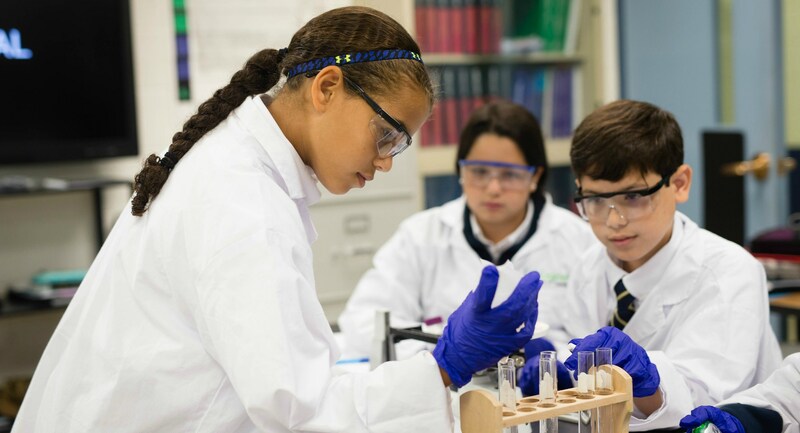 St. Theresa School prides itself in preparing our students for a successful high school career. How does the school teach moral values and spiritual truths? St. Theresa School, as every school in the Diocese of Arlington offers daily instruction in our faith. Students prepare for the sacraments of First Penance and First Communion in second grade and Confirmation throughout seventh and eighth grades. But this didactic approach is not what St. Theresa School is known for, it is the daily living of our faith in all we do and say. 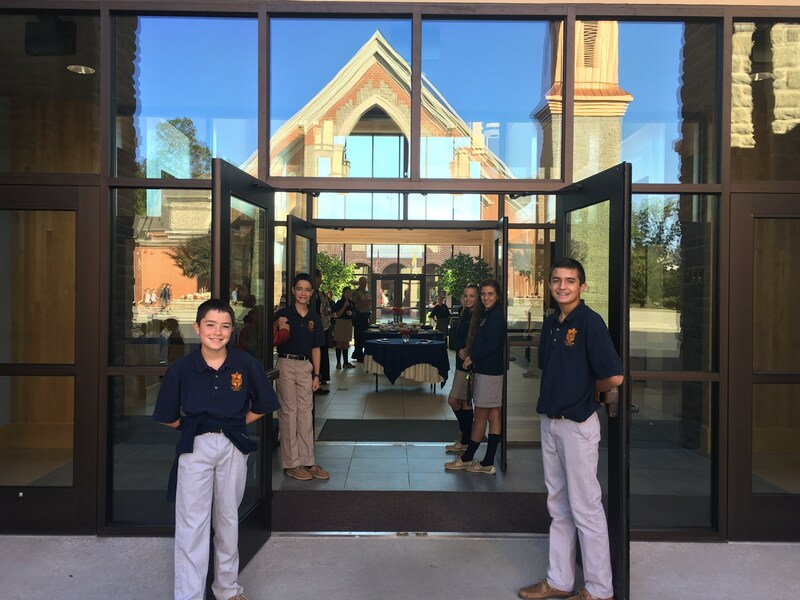 Students develop a strong moral compass and sense of individual responsibility by relating to others in a manner that reflects their Catholic upbringing. All students, grades 1-8, attend weekly mass. All School Masses are held on every Wednesday, First Friday, Ash Wednesday and Holy Days of Obligation as well as many other special days on the church calendar. We begin each morning in community prayer. Each class begins with a prayer, and our day ends in a prayer. Prayer services are often held for specific intentions, the school prays the rosary together at various times, and all students attend Stations of the Cross on Fridays during Lent. The Pastor and Parochial Vicar visit in classrooms, especially in the middle school, to discuss relevant issues and church doctrine. What curriculum opportunities are there for high school placement? Spanish is taught to all students from kindergarten through grade eight. Students enrolling in Catholic high schools may then take an exemption test for high school Spanish I. If the student passes, he/she may enter Spanish II freshman year. Those going to public high schools do not need a test to be placed in Spanish II. Two levels of algebra are taught in the 8th grade. Students entering public school will be able to take the SOL for Algebra I. Students who are going on to Catholic diocesan high schools may qualify for the more difficult level of algebra and take the algebra exemption test for diocesan high schools. Geometry is offered for students who have successfully completed Algebra I in seventh grade. To which schools do graduates go? 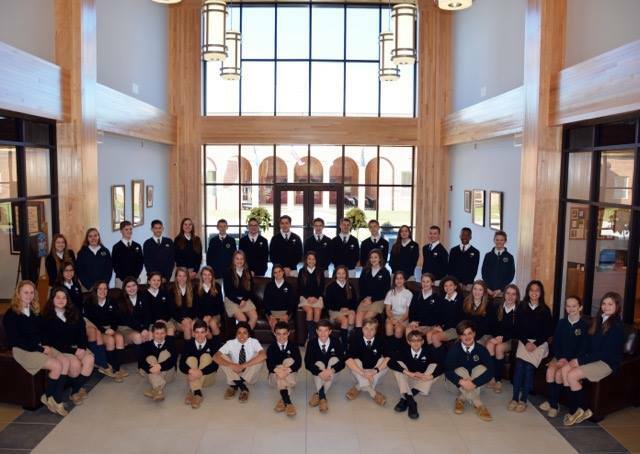 St. Theresa School graduates attend many Catholic high schools, including Bishop Denis J. O’Connell, Paul VI Catholic High School, Oakcrest and St. John’s College Prep as well as the local public high schools. How does school prepare the students for family and civic life? Our students model their primary teacher, Jesus Christ, by being ever aware of their role in the global community. St. Theresa School students develop a strong sense of commitment to the needs of others during their stay here. They respond to crises vigorously and speedily. When natural catastrophes such as hurricanes or earthquakes hit in any part of the world, St. Theresa students immediately begin their fundraising efforts. When tragedies occur, students respond by praying and sending condolences. On the Feast of the Holy Rosary, students gather to form a living rosary and bring food to be donated to the Divine Mercy Outreach. The students also participate in the Backpack Buddies where each class provides a weekend worth of food for a family from the local Head Start program. Students in all grades provide food and cleaning products for Merciful Harvest. They participate in World Food Day by donating money they would normally spend on lunch and instead, have a bowl of rice and a cup of water for lunch. Students and families participate in Boxes of Joy for children in developing countries. The boxes contain tooth brushes and toothpaste as well as a small toy and other items. At Christmas, our students provide gift cards to support local families through Divine Mercy. Middle school students donate the funds from their first dance to the Parish for the annual Youth v. Hunger food packing day. Students also collect money with the lenten boxes for Missionary Childhood Association (formerly Holy Childhood) and participate in the St. Jude's Children's Hospital Math-a-Thon. We support the diocesan school in Banica, Dominican Republic, as well as donating to Missionary Childhood Association (formerly Holy Childhood), Catholic Charities, Catholic Relief Services, and many other charities. Our students prepare to take their roles as caring and sensitive members of the global community, and realize that, as individuals, they have the power and responsibility to improve the lives of others. How does the school compare to the competition (private and independent schools)? St. Theresa School graduates select their high schools – not the other way around. Once in their high schools, students report that they have been well prepared for the challenge, large numbers are listed on their high school’s honor roll, and several students have been the valedictorian at their high schools. We are proud to compare the education received at St. Theresa School against any other school in Northern Virginia. St. Theresa School’s teachers are certified and licensed in the Commonwealth of Virginia, either through the Virginia Department of Education or through the Virginia Catholic Education Association. It is conceivable that bullying may never be eradicated, especially in middle schools. However, St. Theresa School has a strict discipline code which includes zero tolerance of physical violence, bullying, and cyber bullying. Teachers and administration respond swiftly to any reported incidents. St. Theresa School participates in the Diocese of Arlington’s financial aid program, which is based on financial need. Families may apply online. Does the school offer other classes? Basic instruction and vocal music is provided for grades K-8. Band is offered to students starting in grade 4. Students may also participate in chorus starting in grade 3. In addition to daily curriculum instruction, students have Art, Computers, Library, and PE once a week. Students in grades K-5 do hands-on activities in the K-5 Science Lab once a week. What other extra-curricular activities are available at STS? 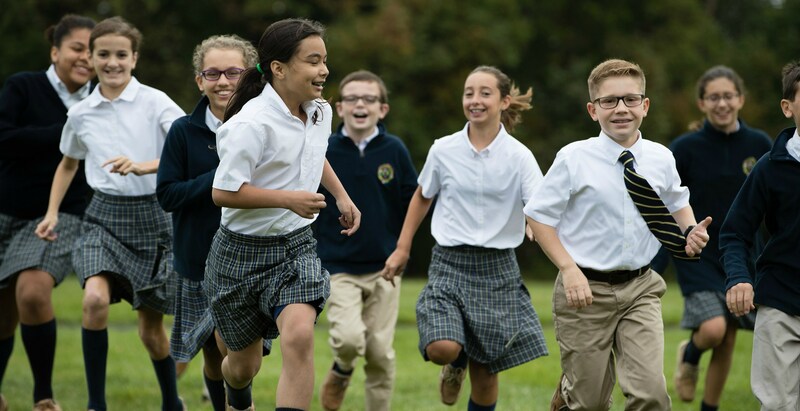 St. Theresa Catholic School offers a variety of extracurricular activities for students in grades K-8. Please click here to visit the Extracurricular Activities page for a list of all activities. Does STS provide academic support for students who need it? St. Theresa Catholic School recognizes the beauty and potential inherent within each student. In an effort to foster continued growth, the school embraces the challenge to provide assistance to serve students with special needs according to the resources available within the school. STS employs Resource Teachers who provide academic support to students who demonstrate a need for additional help. They will also provide guidance for parents during the child study process. Evaluation and testing is not offered on site, but is available through the Loudoun County Public School (LCPS). Students who qualify through the LCPS may be eligible to receive additional services through them. No, parents are responsible for the transportation of their students to and from school. Does STS have an After-School Program? Yes, STS offers an after school program which goes until 6:00pm each day that the school is in session. Parents need to provide transportation for their child from the program. Our program is licensed through the Commonwealth of Virginia. Does STS offer hot lunches? Yes, we offer hot lunch that is purchased a month in advance. What is the School Uniform Policy at STS? All students in grades K-8 are required to wear a school uniform. This information may be found in the School Handbook located under the "Parents" on this website. Information can also be found on the "Uniforms & Spirit Wear" page under the "Parents" Icon on this website. Does STS follow Loudoun County Public School's Calendar and Schedule? The Diocese of Arlington calendar is very similar to the LCPS calendar with the minor difference such as Christmas break, Easter break, teacher workdays, and the end of the school year. For weather related closures, STS follows Loudon County Public Schools.